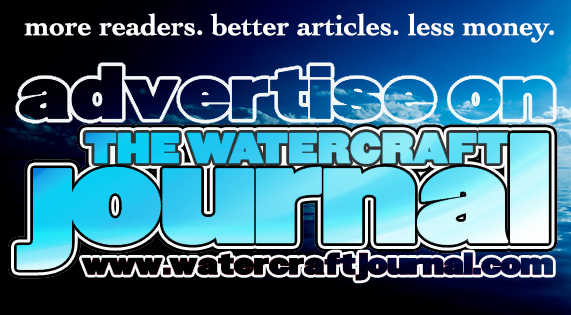 Quick Tech: Rigging A Jet Ski For Offshore Fishing | The Watercraft Journal | the best resource for JetSki, WaveRunner, and SeaDoo enthusiasts and most popular Personal WaterCraft site in the world! 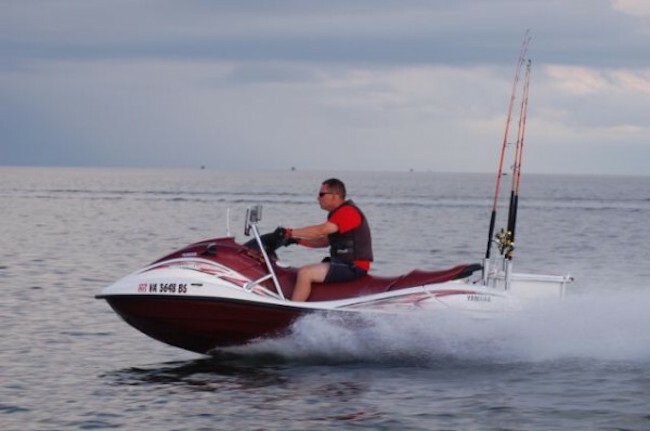 Out-rigging a personal watercraft for offshore fishing use isn’t as expensive as you might think, but then again, to do it right (and have it last), it takes more than a bunch of PVC pipe and contact cement. 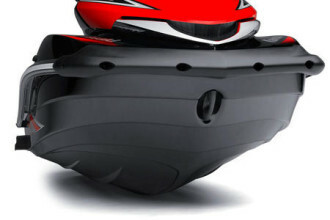 If you enjoy the subject of jet ski fishing, then you’ve probably seen this outfitted Yamaha SUV before. 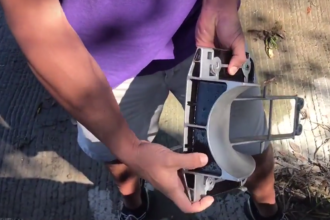 I often get questions about how I did it or how much it cost, so I thought I would do a post on the subject. My brother recently purchased a used 2001 Yamaha SUV 1200 just like the one I’ve been using for a while. It wasn’t the most popular ski Yamaha produced, but the SUV is very stable, the engine is reliable and the extra storage comes in real handy. I rigged it up for him and took some pictures of the process as well. First off, purchasing a used 2001 Yamaha SUV with 85 hours set us back $5,000. Next, we picked up some necessary navigational equipment, namely a chartplotter/sounder for $500 and a VHF radio and antenna for $180. 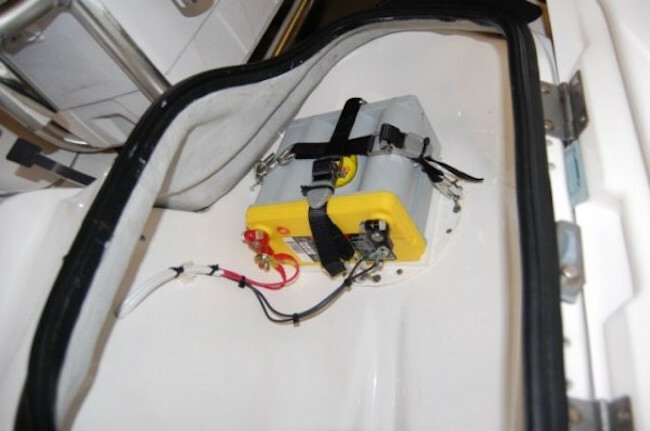 We also grabbed an Optima gel battery ($150), and some marine grade hardware and wire connectors ($200) as well as some miscellaneous safety equipment (flares, mirror, compass, Spot GPS tracker, dye pack, whistle, air horn, life vest, personal strobe, anchor, rope and chain for around $500). Finally, we dropped the ski off for some custom pipe fabrication to hold our rod holders and cooler ($850). All in all, we ended up with a pretty nice fishing ski for $7,380 give or take. 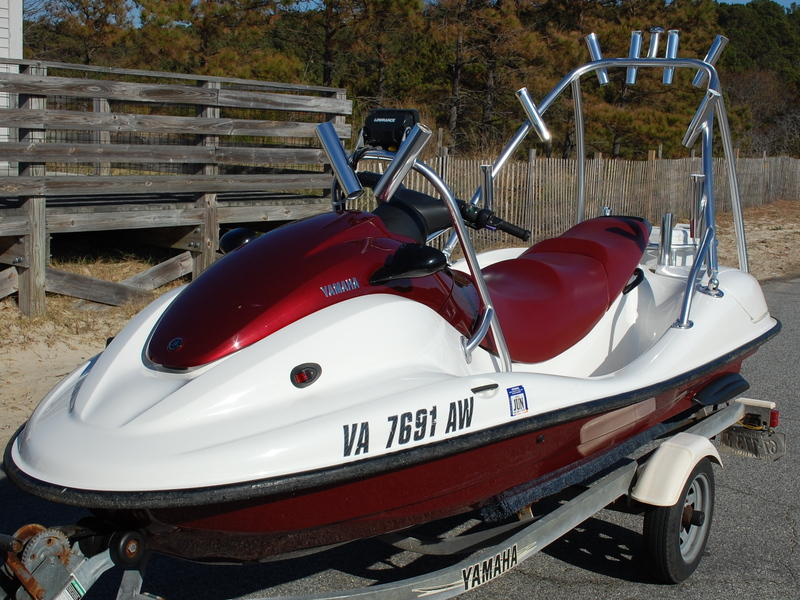 We searched out for a pretty clean 2001 Yamaha SUV 1200. With 85 hours on the clock, it was in pretty good condition for $5,000. Extra power is necessary to run all of the extra electronics we have on board. The Optima gel battery was secured in the rearward storage bin. 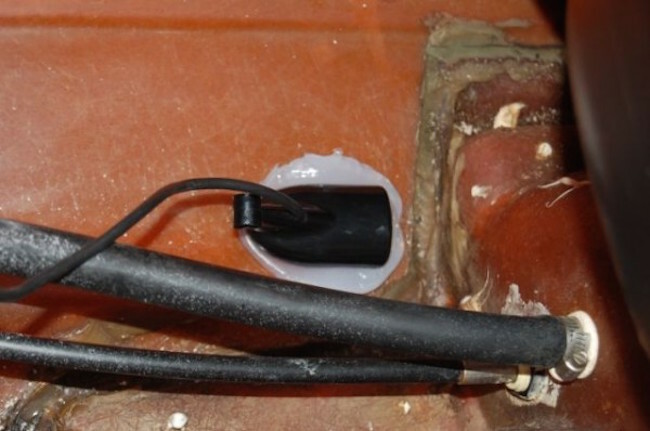 We installed the sounder in the bottom of the SUV’s hull. 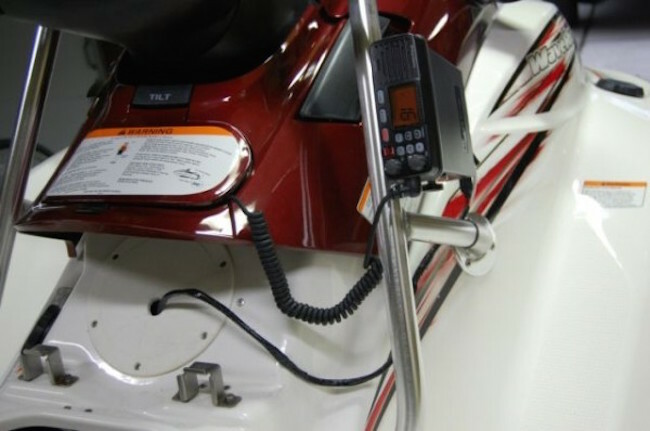 Once our custom-fabricated rod holders were completed, we mounted the VHF radio and antenna to the ski. 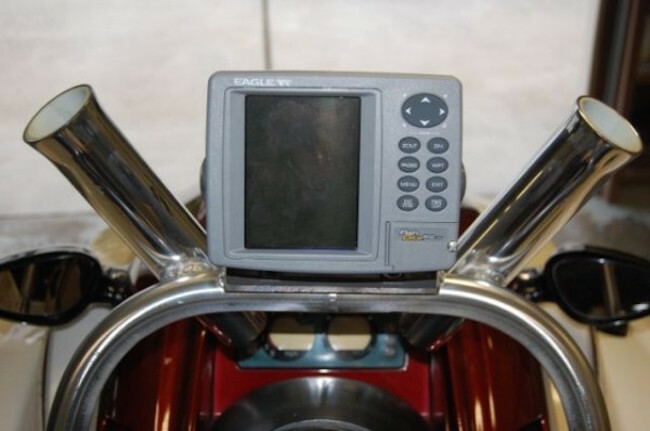 Finally, we mounted the GPS/chartplotter above the handlebars. Needless to say, my brother is very happy with how it turned out. 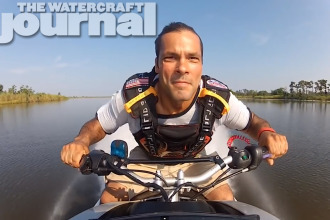 “How I Did It, Rigging A Jet Ski” was originally published by “Jet Ski Brian” Lockwood on July 19th, 2013. You can read the original report here. 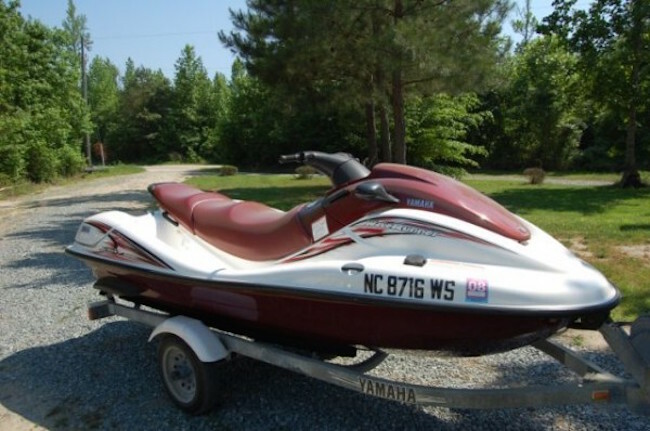 Starting with a used '01 Yamaha SUV 1200, Brian logged 450 hours of riding and fishing within 18 months. Since then, he has become an ambassador for PWC fishing, providing presentations for Bass Pro Shops, national fishing competitions, and boat shows. 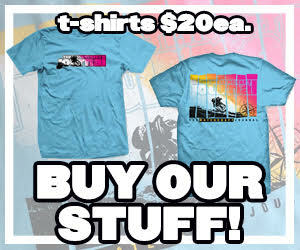 His blog www.JetSkiBrian.com and subsequent posts on Atlantic Anglers and Tidalfish bring in over 15,000 readers with each post.